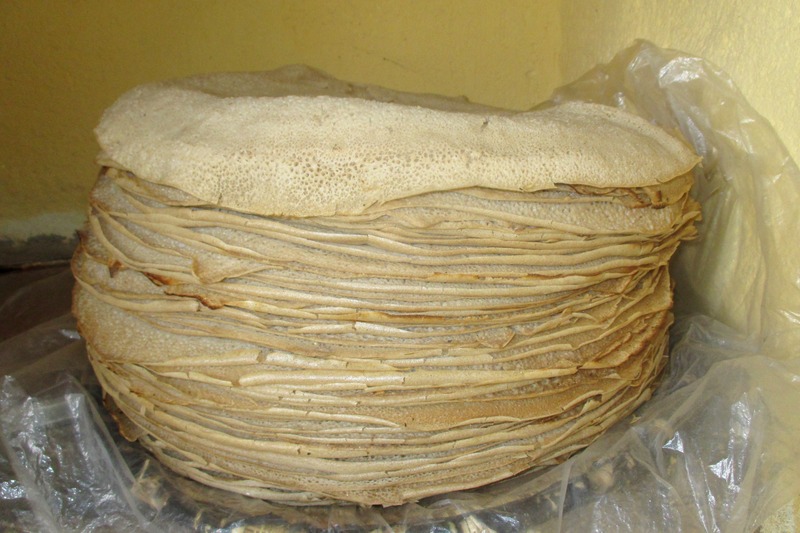 In the quietness of the dark night, the air is filled with the scent of freshly baked Injera. 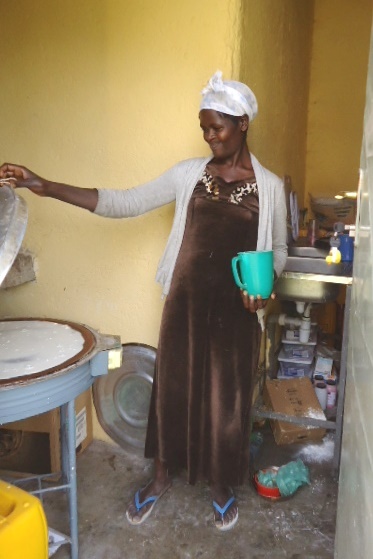 As you follow the delicious smell and enter into the kitchen you will find Tigist, a hard working mother of three. Tigist works five days a week to deliver 90 injeras a day (450 a week!) to the BCI Academy Lunch Program. As part of its overall goal to improve the well-being of our children, Blessing the Children provides each sponsored child attending the BCI Academy with a filling and nutritious breakfast and lunch each school day. By providing the children two meals a day at school, we are able to guarantee that they are getting enough to eat 5 days a week. 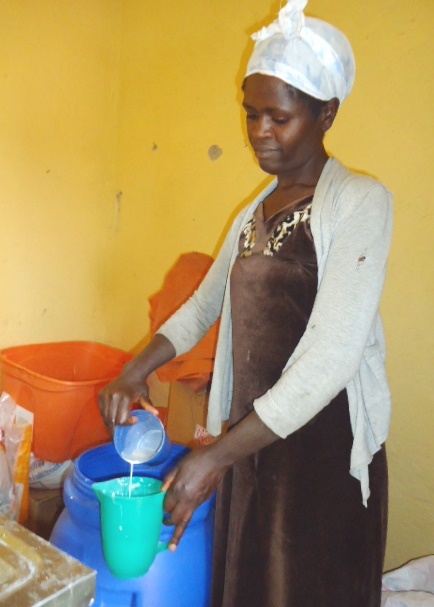 The school breakfast program provides milk every day while the lunch program provides meat at least once a week and injera is served with lunch almost every day. 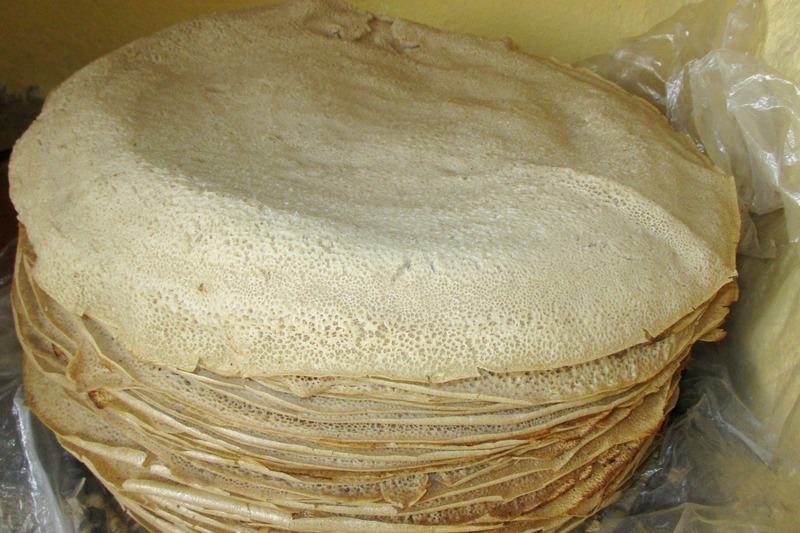 Injera, a national dish in Ethiopia, is a sourdough-risen flat-bread made out of teff. Teff is an ancient Ethiopian grain that is gluten-free and high in iron. Teff has also recently been called out as a superfood that gives an excellent combination of benefits. Although teff is a very small grain and most gluten-free grains tend to lack fiber, teff is full of it and the carbohydrates in teff are slowly absorbed by the body, which prevents large fluctuations of the blood sugar level. Besides providing you with iron, fiber, protein and carbs, teff is high in protein with a great combination of eight essential amino acids needed for the body’s growth and repair. It has high amounts of calcium, manganese, phosphorous, iron, copper, aluminum, barium, thiamin, and vitamin C (which is not normally found in grains). The iron from teff is easily absorbed and is also recommended for people with low blood iron levels. We are constantly working to improve the services and benefits we can provide while minimizing cost. To this end, Dawit Moges (BCI Ethiopian Director) has discovered how to purchase teff in bulk directly from the Ethiopian government for a discounted price using our NGO status. This has been a huge benefit for BCI as we are now able to control our supply and the production process, meaning a quality product for a lower price. 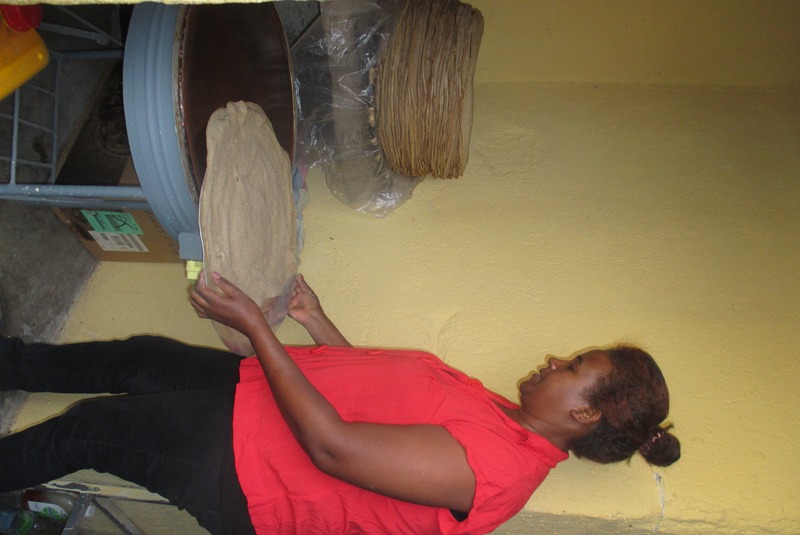 As we make peanut butter and injera for the children in house, we are working towards having all food products and spices prepared through a traditional food processing business. This will serve as a source of income for families and provide quality food for our children. Moreover it will enable families to participate in the service of their children. ​This makes sense in so many ways and we are excited to start producing more and more food in house.